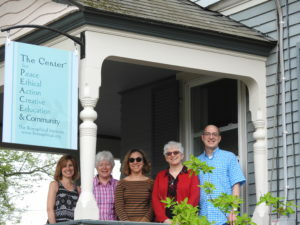 The Biosophical Institute, headquartered in Bath, Maine, is a non-profit private foundation. The Center for P.E.A.C.E. and Community is the public physical presence that provides space for the institute to fulfill its mission through programming, workshops and grants. In the endeavor to work with others on character improvement and spiritual self-education, Dr. Frederick Kettner developed “Biosophy”, Bios=Life and Sophia=Wisdom, based on the works of Spinoza. Biosophy is the science and art of intelligent living based on the awareness and practice of spiritual values, ethical-social principles and character qualities essential to individual freedom and social harmony. To cultivate a community and culture of peace encompassing life wisdom and deep relationships through character and peace education.